Didn’t I just feed the baby? Why is she still crying? How long has she been sleep? Designed and created by two Moms, Baby Log enables caregivers to track and review their newborn’s daily logs with its intuitive layout and clever design. By tracking of your baby’s natural eating and sleeping rhythms, Baby Log makes it easy to anticipate your baby’s needs even when you’re stressed, tired and overwhelmed. Baby Log is also designed to track and keep those treasured memories thought out the child’s growing years. Keep irreplaceable moments like baby’s first tooth, baby’s first scan, etc. This is the only baby app that gives you a clean design, fast performance and no excess clutter. Baby Log lets you log your baby's activity with unlimited data for as long as you like. 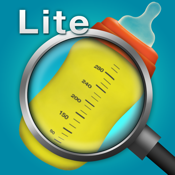 - Track and visualize any type of feedings. - Track baby info, growth and milestones. Easy to use and yet powerful, Baby Log is a must-have for all new parents and caregivers. * If you have a problems or questions please email baby@bhi-technologies.com directly, instead of leaving the question as the review.